The Chicago-based company is veteran-owned and all of its employees are veterans who served in every branch of the military. Both beers are being produced at the company’s brewery in Cold Spring, Minn. Monarch Beverage, based in Indianapolis, will distribute the products in Indiana. 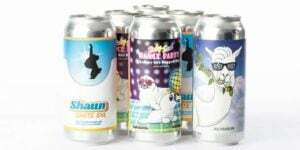 Mautino Distributing Co. and Flyer Beverage Co. will distribute the beer in Illinois. The Veteran Beer Co. partners with Monarch Beverage Co., Flyer Beverage Co.